Where was 1909 Carlisle-St. Louis U. game played? Wednesday, I received a question about the location of the Carlisle-St. Louis University game played on November 25, 1909. Was it played in St. Louis or in Cincinnati was the question. A quick scan of Steckbeck’s Fabulous Redmen found it listed as having been played in Cincinnati. From experience, I have learned not to accept Steckbeck as gospel. He’s usually right, but not always. So, I checked with the Spalding’s Guides to see if they could shed any light on the issue. 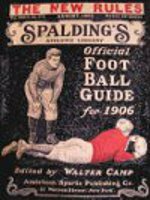 The 1909 Spalding’s Guide listed the game as being scheduled to be played in St. Louis. The 1910 Guide just gave the score. Next, I searched newspapers for the day before the game, the day of the game, and the day after the game. Every mention of the game that included a location, far from all of them, placed the game in St. Louis. Many newspapers just gave the score or a brief summary. The November 24 Wilkes-Barre Times-Leader article began, “Seventeen redskins left the Carlisle Indian School last evening for the Thanksgiving game at St. Louis….” The November 26 New Orleans Times-Picayune’s coverage of the game was datelined St. Louis as did the Philadelphia Inquirer’s special. 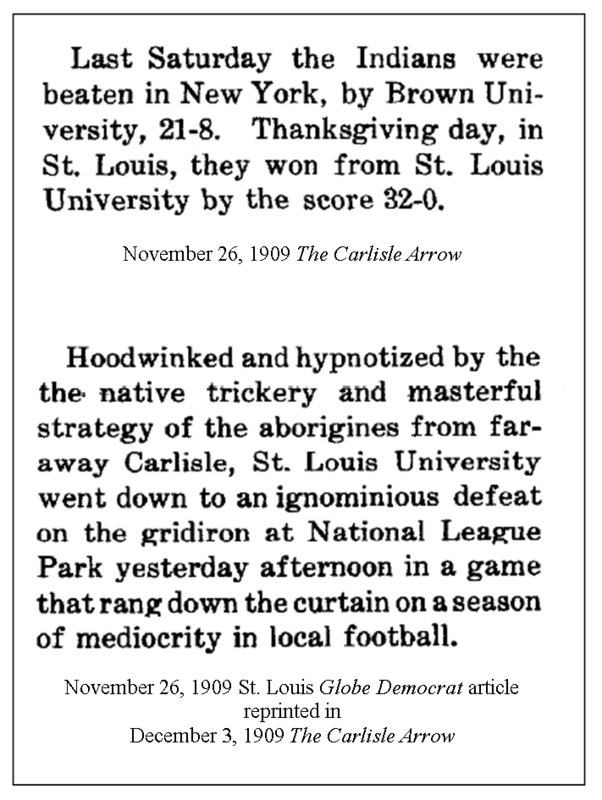 The September 10, 1909 issue, Volume VI, Number 1 of The Carlisle Arrow listed the location of the game with St. Louis to be played in November in St. Louis. The November 26 edition included a sentence about their victory the previous day in St. Louis. The December 3, 1909 The Carlisle Arrow reprinted an article from the December 26, 1909 St. Louis Globe-Democrat that discusses the game played locally (to them) at National League park (home of the St, Louis Cardinals). All references I found to that game, other than Steckbeck, place the game as being played in St. Louis at a venue larger than the hosting university’s home field. Perhaps he got confused with the 1906 or 1897 seasons when the Indians did play late season games in Cincinnati. He misplaced another game in Cincinnati: the 1905 game with Massillon Athletic Club which was actually played in Cleveland. Why that particular game was played where it was played is a story unto itself. While looking for a photograph of William O. “Wild Bill” Hickok, the Yale star who coached Carlisle in 1896, I noticed an error in the Wikipedia file about him. Wikipedia had his record as 6-4 for that year. From prior research, I knew that was incorrect. In 1896, the Carlisle Indians played the Big Four, Harvard, Yale, Princeton and Penn, on successive Saturdays away from Carlisle, sometimes on the big team’s home field, other times in a big city. The Indians lost all of these games but would have tied Yale were it not for a bad call and they would probably have beaten Harvard if they hadn’t misplayed a punt. Those games account for four of their losses that year. Those losses against six wins would be the record Wikipedia showed. However, they lost another game. The Indians played Brown University on Thanksgiving Day on Manhattan Field in New York City, the site of the Yale game played earlier in the season. 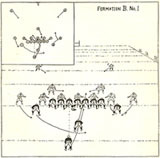 Brown won the game 24-12. That loss ran the total up to five for the season out of the ten games played. Going .500 over a brutal schedule like the one the Indians played that year is quite an achievement, so great in fact that Walter Camp wrote that Carlisle should be considered among the first rank of teams after that. How did Wikipedia come to have that error? The only reference listed on the site was Sally Jenkins’s book, so the error must have come from there. Sure enough, on page 155, Jenkins stated, “The Carlisle players were weary but jubilant; the victory [over Wisconsin] completed their first winning record at 6-4.” As it turns out, Carlisle didn’t have a winning record in 1896, they went .500 as they had done in 1895 when they went 4-4. Why did Jenkins get this wrong? My guess is that she accepted Steckbeck as being accurate. I made that same mistake myself and have to insert errata sheets in books that include that error. This is what happens when one accepts someone else’s research without checking it. Chicken Legs or Bird Legs? 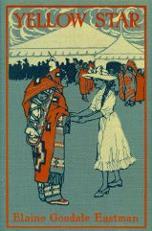 I have wondered for some time where John S. Steckbeck found some of the the anecdotes he used in Fabulous Redmen. The other day while searching for something else—the usual situation—I came across a Project Gutenberg file for Football Days: Memories of the Game and of the Men Behind the Ball, a 1916 book by William H. Edwards, Princeton 1900, with an introduction by Walter Camp. In one section of the book, Edwards retells some of stories told by former Yale star Carl Flanders, who helped coach the Indians in 1906. I do wonder if Edwards got a couple of the names reversed or if Flanders remembered them incorrectly. During WWI, Bill Gardner was referred to in newspaper columns as “Birdie,” something that leads me to suspect that his nickname was Bird Legs not Chicken Legs. If that is so, then Wilson Charles was probably called Chicken Legs. Perhaps a descendent of his will let us know which was his correct nickname. Not long ago, I learned that some Carlisle Indians other than the ones on the Oorang Indians also played in the NFL. Chris Willis’s book, The Columbus Panhandles, tells the story of one of the charter members of the NFL (called the American Professional Football Association when it was first formed in 1920). The 1920 Panhandles’ roster included one player that claimed Carlisle Indian School as his alma mater. That was Frank Lone Star. 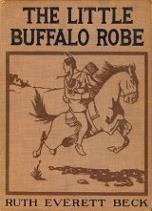 John Steckbeck’s classic about the Carlisle Indian School football teams, Fabulous Redmen, makes no mention of him playing football. 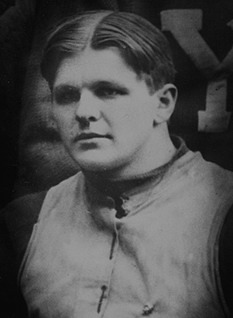 An appendix to Willis’s book lists Frank as having played guard and tackle in three games in the 1920 season. A search of newspaper coverage for these games confirms Willis’s data. Unfortunately, Carlisle’s school records don’t indicate that Frank Lonestar ever played football there—at least not on the varsity squad. Frank Lonestar, Chippewa from Shell Lake, Wisconsin, first arrived at Carlisle in August 1903. After completing the five-year term, he re-enrolled for a three-year term. Just before the end of that term of enrollment, he ran away but re-enrolled in September 1911. He ran away again, returned in March 1912, and left for good in May 1912. While at Carlisle, he learned the printing trade and could have played on the Printers’ shop football team. Shop teams received little press, so it’s not known for sure if he played for them. He kept in touch with the school while working in Cleveland, Ohio. He died at his brother’s home in Shell Lake on October 30, 1915. Frank’s untimely death made it impossible for him to play for the Columbus Panhandles in 1920. Playing under assumed names was common in the early days of professional football, especially by people whose employment might be jeopardized if their employer learned they were playing football for money. One possibility is Lone Star Dietz because he was looking for a coaching job at that time. He went by the name William Lone Star at Carlisle. That name is close to Frank Lonestar. Also, Dietz would have likely known that Frank was dead because his death was announced in The Carlisle Arrow. In addition, Frank’s hometown was in the county immediately north of Dietz’s. Tackle was his natural position, too. In 1920, Lone Star Dietz was 36, an advanced age for an athlete in that era, a factor that would explain him playing only three games. Of course, it may not have been Dietz, but if it wasn’t, who was it? Janet Zettlemoyer and Ilene Whitacre, daughters of John S. Steckbeck, donated their late father’s Carlisle collection to Cumberland County Historical Society. Steckbeck wrote Fabulous Redmen: the Carlisle Indians and their famous football teams in 1951 but the collection that fills 16 copier paper boxes is not limited to Carlisle football items. I’m told that it isn’t limited to Indian School-related items, that it contains a few things of interest to Carlisle (the town) history. However, there is so much stuff to sort through and catalog that it will be some time before collection items are made available to the public. Photographs accompanying the newspaper article include parts of an oil painting and a pen and ink drawing that looks familiar. Discussions with my sources revealed that the oil painting was done by Frank Maze, Dickinson College head football coach 1950-51. 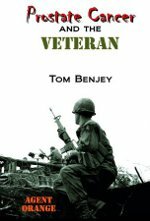 It is based on the famous graphic done by Lone Star Dietz that is used as the frontispiece for Steckbeck’s book and on the masthead of this blog. However, Maze put a different head on his version. But whose head was it? 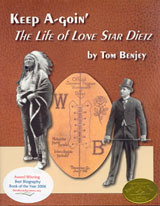 The pen and ink drawing – there turned out to be three in the collection – are Dietz originals of the artwork that adorned the cover of The Red Man magazine. Apparently the collection includes several Dietz items that Steckbeck purchase from the old warrior after he fell on hard times. I can’t wait to see this stuff. Jim Thorpe historians will not be disappointed as the collection includes an audiotape of Steckbeck’s interview of Thorpe. I hope excerpts from this find their way into the audiobook version of Bob Wheeler’s landmark biography of Thorpe. The collection also includes glass photo negatives of portraits of Indian School students. Who knows what else might be found in that collection?